Sign up to keep track of Curley's updates or create your own profile to share your gaming experience, follow your favorite games and show off your gaming identities. Curley is now following Fallout 4, Black Desert Online, Borderlands: The Pre-Sequel and Gigantic. 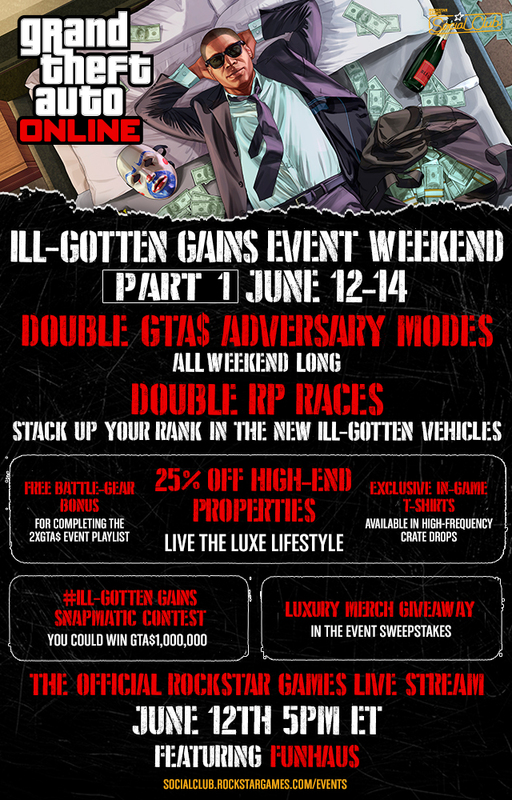 GTA V Ill Gotten Gains, Coming Wednesday, June 10th. This weekend is the Event. Here is the line-up. Curley is now following Wolle0rism and Josiahfied. This is for you guys, in case you missed it. Sorry for the departure, but I'm back. Hooked on console Skyrim again. Welcome back and have fun in Skyrim! Naughty Dog's PlayStation 4 exclusive third-person action-adventure Uncharted 4: A Thief's End is now on Anook. Was watching twitch.tv/pax this afternoon for PAX SOUTH and Randy Pitchford released this information for Tuesday, January 27th, 2015. During their panel at PAX South Gearbox revealed Lady Hammerlock. See her in this icy trailer. Curley is now following New on Anook. I found this really cool, especially when you see Los Santos underwater .